If you're into crowd-sourced music, Last.fm might be the program which allows you to listen to hours of uninterrupted music for free by leveraging the last FM online community. This player allows you to listed to thousands of albums and tracks from artists across the planet. All you need is a Last. Version 2.1.36 is a freeware program which does not have restrictions and it's free so it doesn't cost anything. 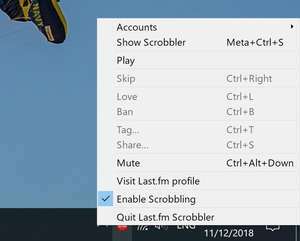 For security reasons, you should also check out the Last.FM Scrobbler download at LO4D.com which includes virus and malware tests. Additional screenshots of this application download may be available, too. 4.8 out of 5 based on 69 ratings. Last FM download been highly rated by our users.